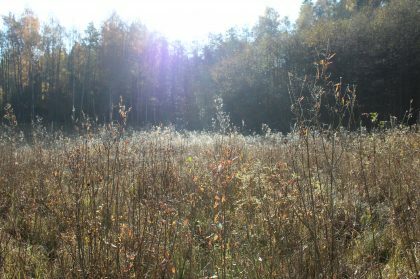 Preservation of wetland ecosystems in Latvia-Lithuania cross-border region faces such similar challenges as lack of knowledge and experience in preservation of valuable wetland habitats. This requires common solutions and strong cooperation. The project aims to create a common methodology of wetland habitat management for the region. All project activities will be carried out in Natura 2000 network sites or other protected areas. During the project open wetland habitats of pilot project areas will be mapped, their diversity and status will be assessed. This information will serve as a basis for the preparation of two nature management plans for Natura 2000 sites in Latvia. It will also be used for the development of joint solutions for improvement of habitat mapping methods, and recommendations how to select the best management tools and equipment, nature management measures (for example cutting and removal of shrub and prevention of their re-sprouting, cutting and removal of grasses) for the different types of wetlands. 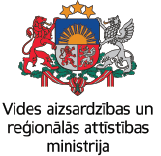 A manual on wetland management practices in Latvia and Lithuania will be prepared, as well as methodology on long-term monitoring of restoration and management effectiveness will be developed. Implementation of management measures will be demonstrated in 6 small (~1 ha) and 2 large (~5 ha) plots in both countries. Also, capacities of different stakeholders will be increased in 6 trainings for local communities and private land owners, 2 workshops for local authorities and state institutions, experience exchange visit, and final project conference. Address: Vytauto g. 5, Dusetos, Zarasų r.
Ar išsaugosime paskutinį retų rūšių prieglobstį? Biržų ir Sartų regioninių parkų pelkėse visą vasarą darbavosi Gamtos paveldo fondo specialistai. Jie rinko informaciją apie čia augančius augalus, vertino buveinių būklę ir kylančias grėsmes. Apdorojus surinktus duomenis bus įvertinta ekosistemų būklė.